Take your JK to the next level. 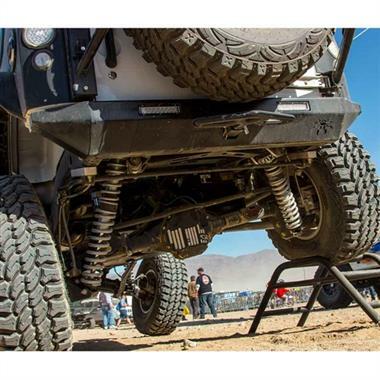 This race-inspired suspension is designed to build upon Rubicon Express’ Extreme Duty long arm suspension systems. 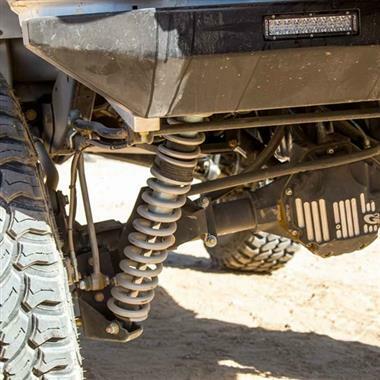 The long arms provide a foundation of proper suspension geometry so you can add coilover shocks to achieve greater speed and ride comfort on the trail. 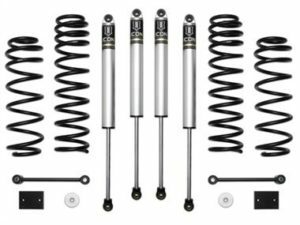 The advantages of coilover kits include increased wheel travel, optimized shock damping and the ability to customize spring rates to suit your specific needs. FOX’s threaded shock bodies make it easy to fine tune ride height for even more customization. 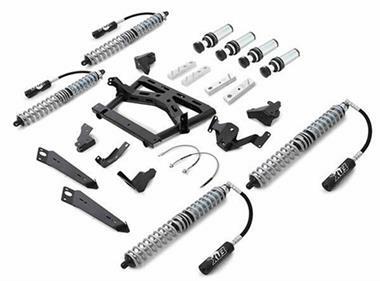 Dual coil springs result in a progressive spring rate that is comfortable on the street and over small bumps on the trail while still providing stability and control over large obstacles. Remote reservoirs increase fluid capacity for cool, consistent shock damping. Rubicon Express’ coilover mounts are made in the USA from plate steel to maximize clearance.